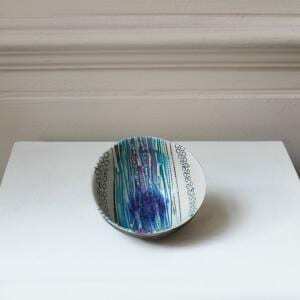 We thought you would like to know has been eyeing up our Blue Reflection Bowl Small for some time now and has requested we bring it your attention. What's your question about Blue Reflection Bowl Small? 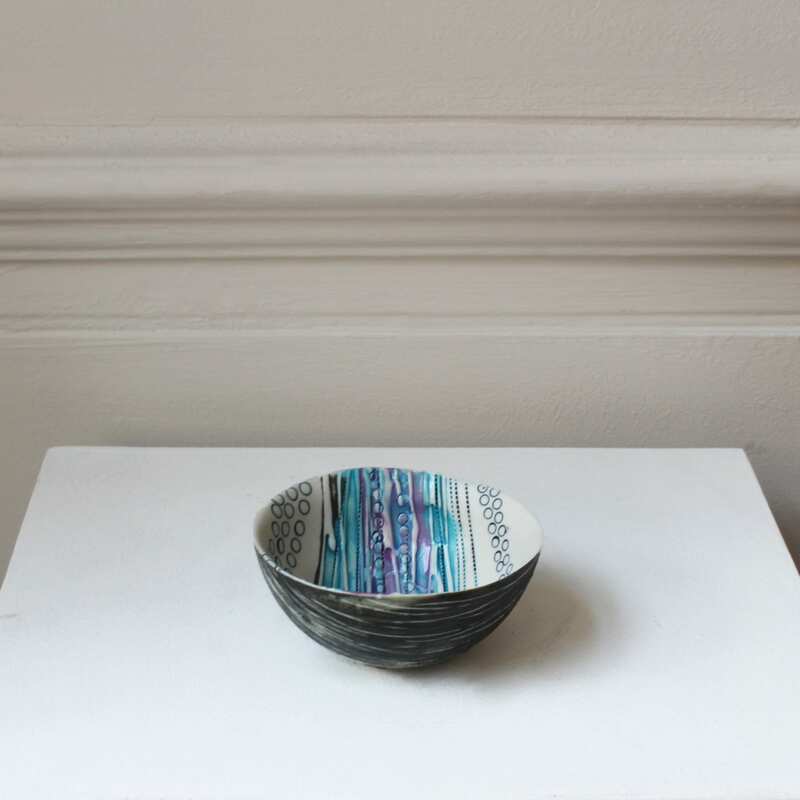 Michele’s highly textured and colourful reflection bowls are some of our favorites. You can nearly read the streams of thought and thought bubbles in this delgihtful small Blue Reflection Bowl.